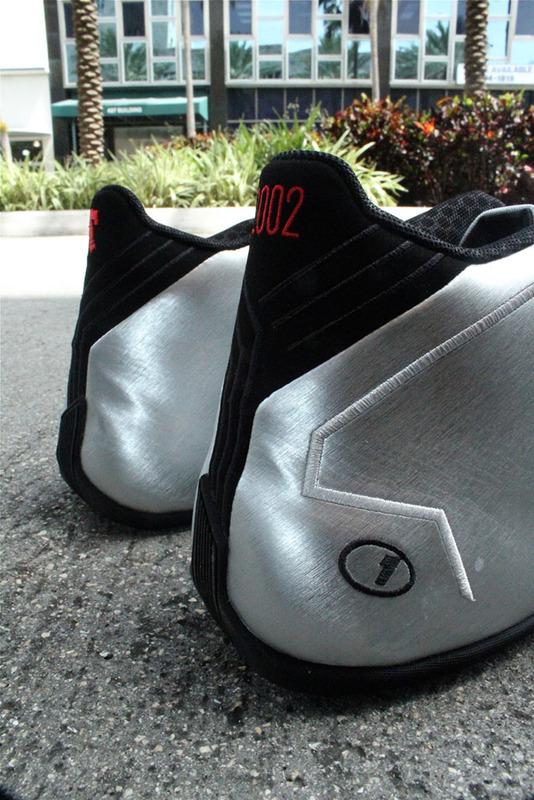 After several "All-Star" adidas TMAC 1 previews, we can now confirm that the retro has started hitting U.S. retail. 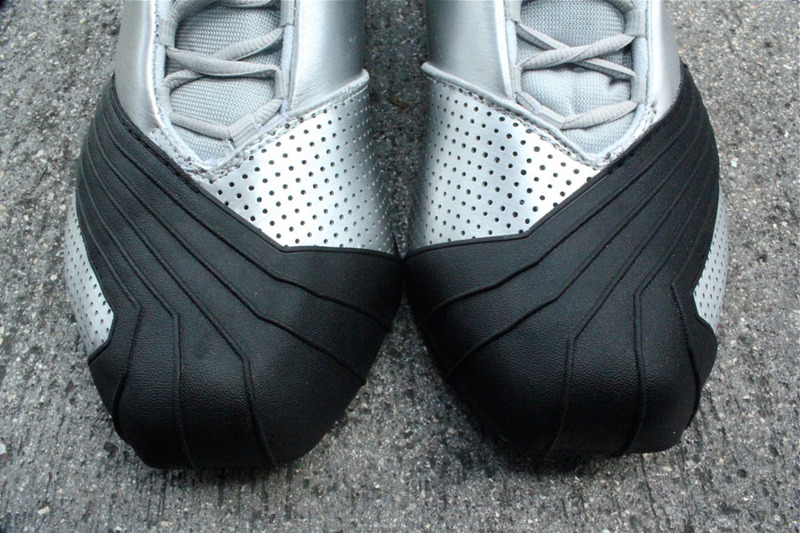 After several "All-Star" adidas TMAC 1 previews, we can now confirm that the retro has started hitting U.S. retail. 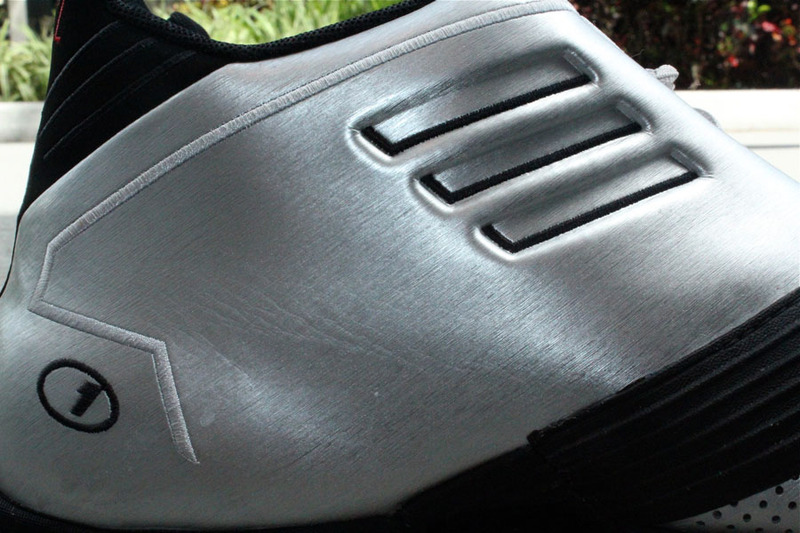 The brushed silver and black make-up was worn by Tracy McGrady in the 2002 NBA All-Star Game. 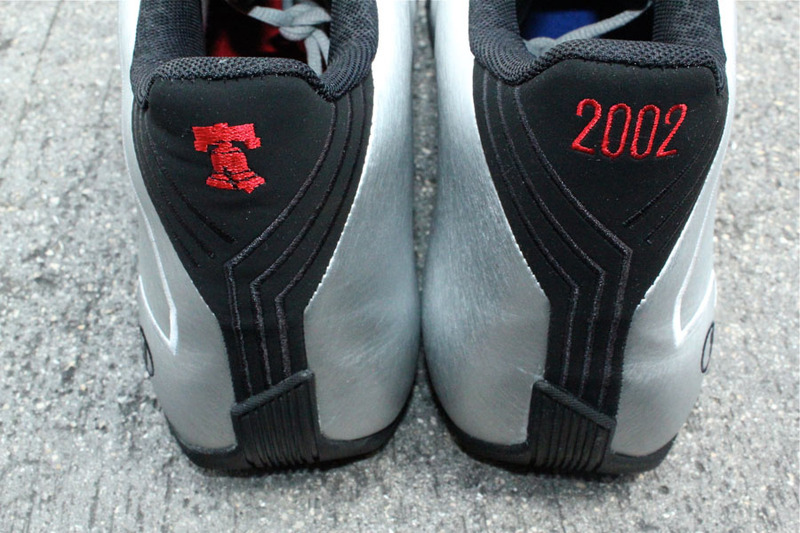 Heels feature red Liberty Bell and "2002" embroidery as a tribute to the game's Philly location and year. 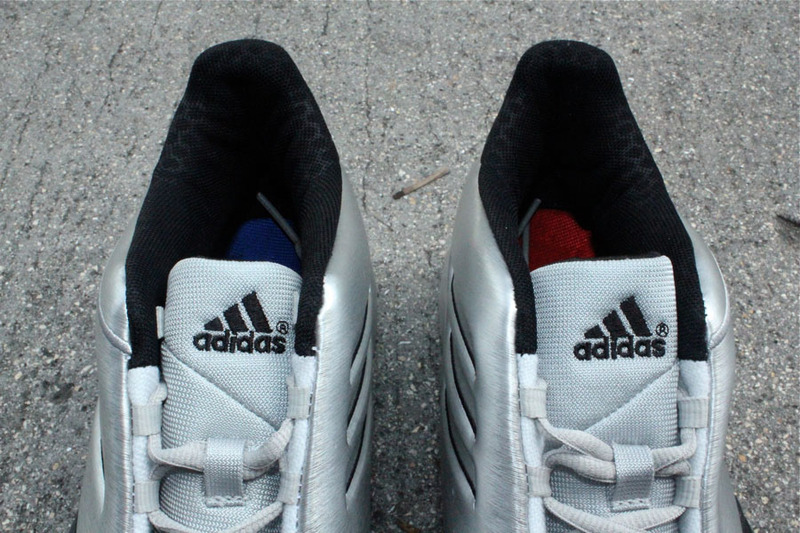 An additional salute to TMac's All-Star history comes in the form of red and blue insoles, which of course play on the mismatched TMAC 3 sneakers he wore in the 2004 game. 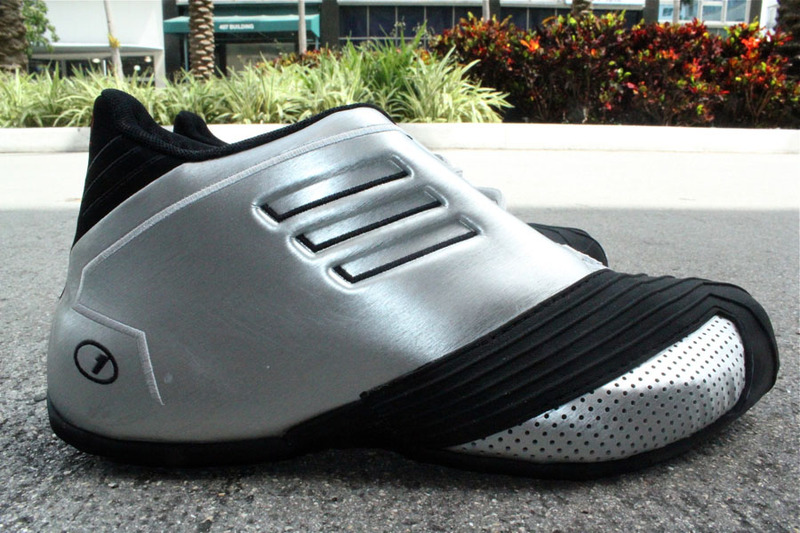 Priced at $110, you can pick up the "All-Star" TMAC 1 at select adidas retail locations like Miami's Mr. R Sports.